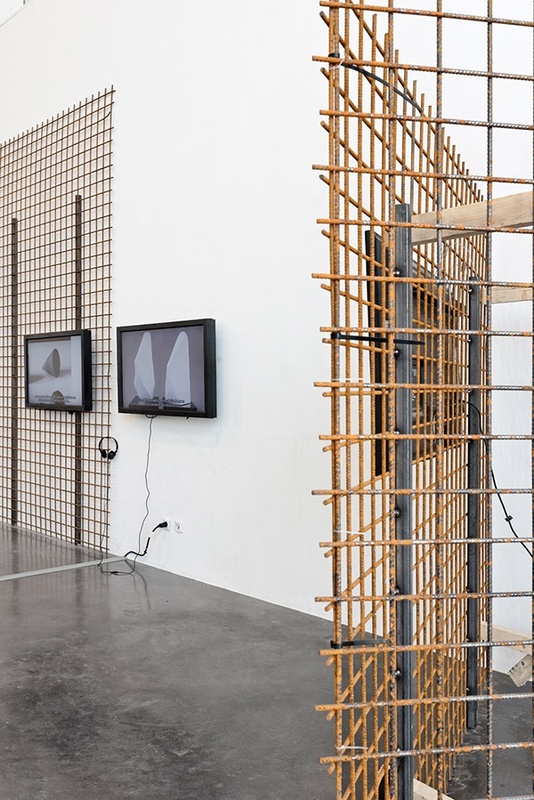 On the occasion of the twentieth anniversary of Triangle France, Margaret Honda presents a project that is both a site-specific work and a retrospective approach to her practice. Since the 1980s, she has been making works that include sculptures, performances for both general and intimate audiences, photography, and, more recently, film. 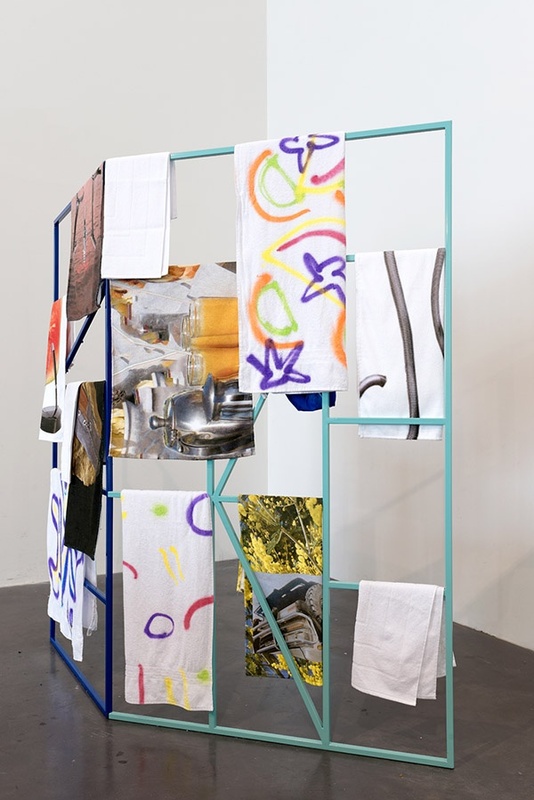 A common thread is the artist’s investigation into the sculptural qualities and attributes of art, which she recognizes as an intrinsic element of all of her production. 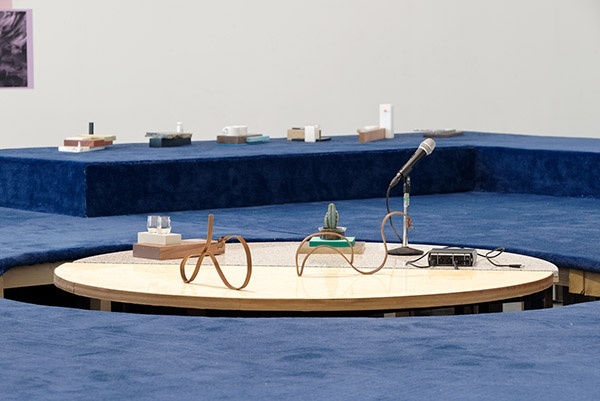 Invested in a nonlinear and atemporal approach to history, Margaret Honda has made use of biographical elements, reinterpreted previous works—by actually melting down existing sculptures—and highlighted specific modes of cultural production throughout history. In all cases, these initiatives do not stem from a project of nostalgia but rather from an active engagement with historicity, continuously interweaving different points in time to produce work infused with the present. 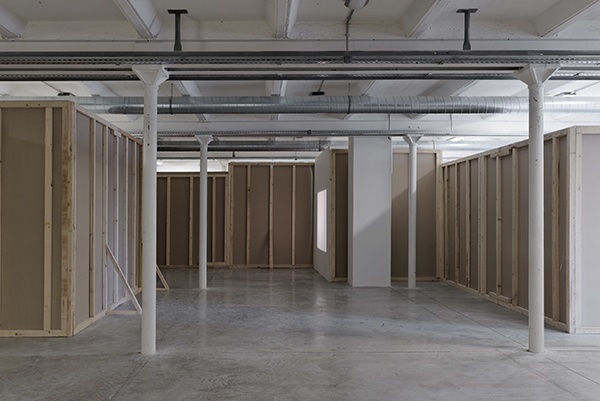 The room-sized, labyrinthine installation at Triangle France allows you to explore Margaret Honda’s artistic production sites. Eponymously titled “Sculptures”, its constructed rooms represent all of her previously used studios to scale, arranged in a circular fashion. 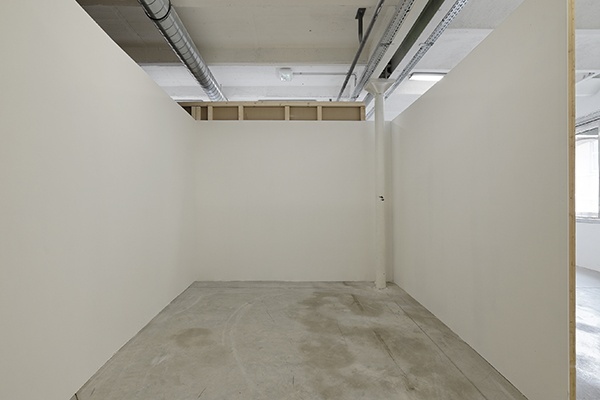 The collection of rooms creates a retrospective experience of the artist’s practice without—except for the sculpture itself—exhibiting a single artwork. The negative space formed at the center of this circular arrangement acts as a non-representative room. 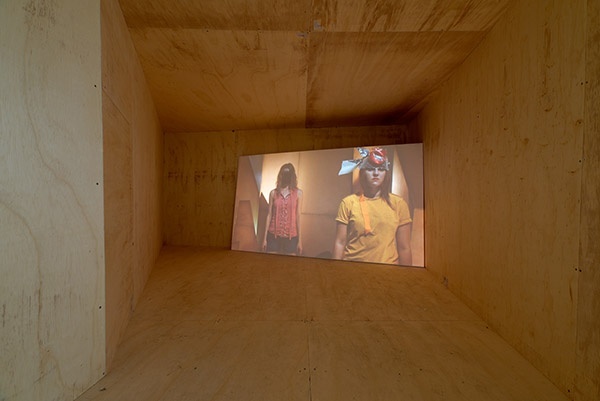 Inside this collateral space premieres one of Margaret Honda’s latest projects, a 16mm film titled Wildflowers. Challenging your imaginative abilities, “Sculptures” emancipates itself from the literality of representation, suggesting a void not as an empty place but rather a site of powerful production. From the outset of her artistic practice, Margaret Honda has been writing about her work. 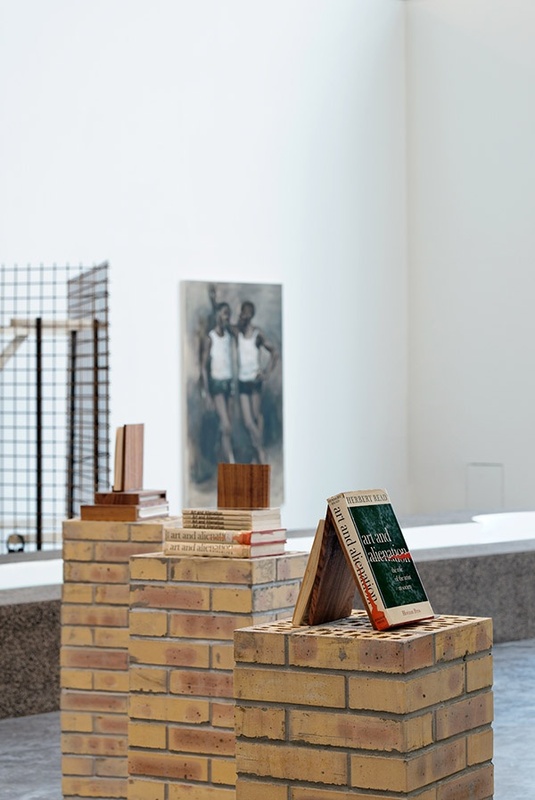 As the third work of “Sculptures”, Triangle France publishes Writings a comprehensive collection of texts by the artist. Edited by Matthew Evans and designed by Dan Solbach, this signed and numbered edition, co-published by Künstlerhaus Bremen, is a complete written record of the artist’s work. 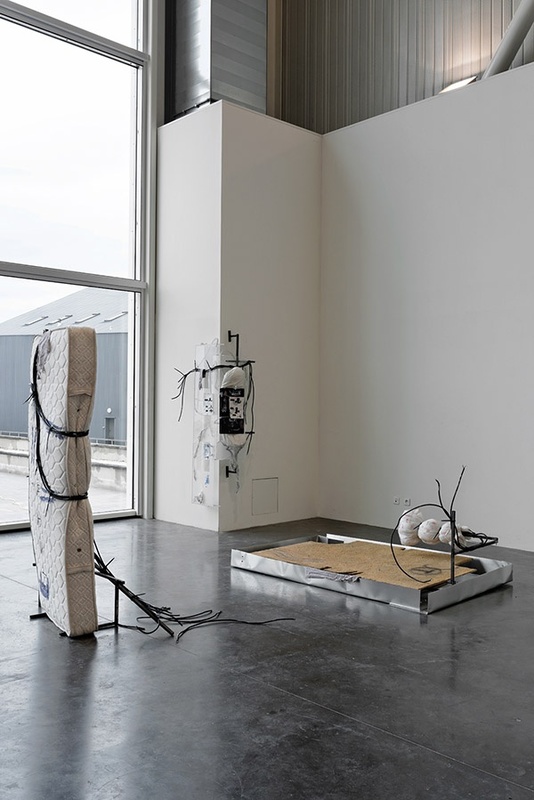 As part of the program conceived in celebration of Triangle France’s 20th anniversary, we are pleased to introduce Moucharabieh, a group exhibition, and a series of performances and events in direct dialogue with the concurrent solo exhibition: Margaret Honda: Sculptures. 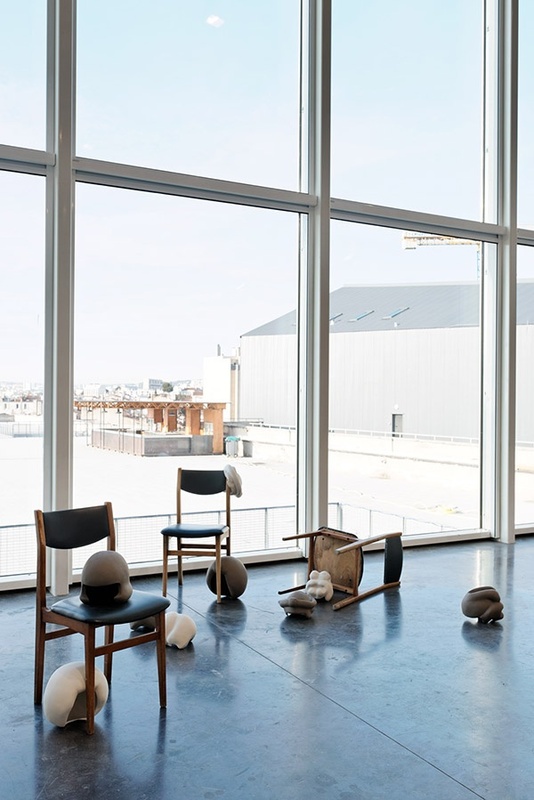 For this occasion, the two former directors of Triangle France, Sandra Patron (1999-2007), and Dorothée Dupuis (2007-2012), as well as current director Céline Kopp (2012- ongoing) have decided to collaborate and curate a program re-affirming the continuity of Triangle France’s commitment towards artists and critical thinking. Artists and speakers have been brought together and invited to address a common question: What is the nature of commitment and what are the conditions of maintaining it? 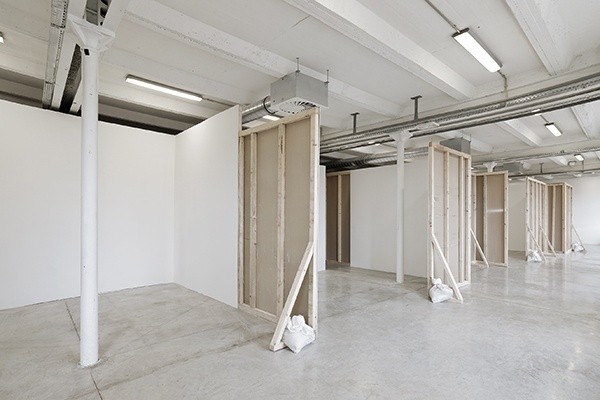 In this context, we are pleased to present a new commission by French artist Clémence Seilles. 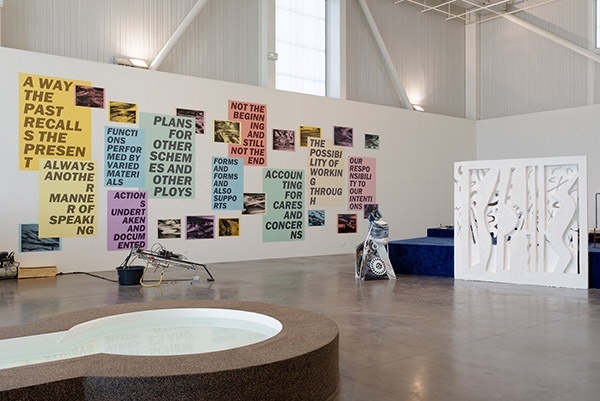 In lending its title to the exhibition, this work functions as a dynamic structure to which artists were invited to respond with new works, performances, and events. 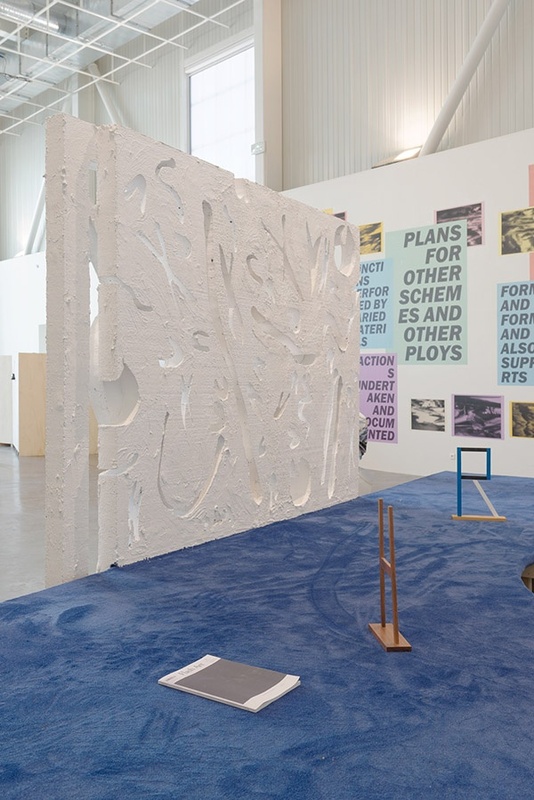 Clémence Seilles’s installation consists of several sculptural elements formally and conceptually responding to each other and displayed in various areas of the exhibition space. The overall project brings to mind ideas of shared authority, knowledge as practice, inclusivity, and cross practices. 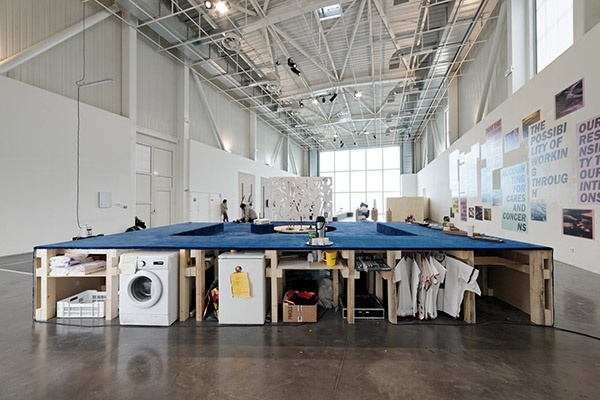 One element, a large-scale structure containing a table resembling a dystopic director’s desk or meeting table appears as a nodal point or an ambiguous control tower for the overall project. Each component concentrates and repeats symbols and forms, while keeping them adjustable and polysemic in favor of maintaining the possibility of further translations and formal responses. The work responds to the presence of invited artists, professionals and the public. It associates architectural elements, bleachers and detachable walls, as well as a space for pressure relief, storage, work, and maintenance. 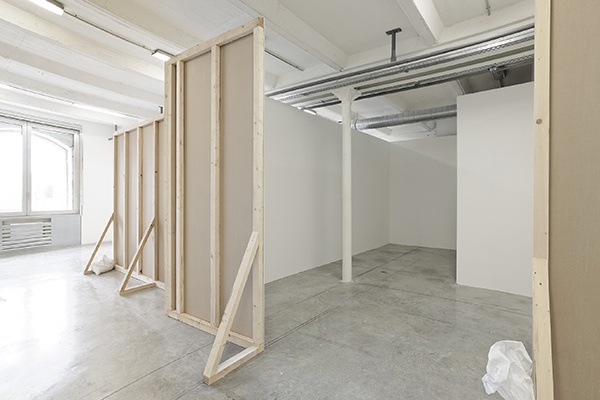 Clémence Seilles proposes to simultaneously and successively engage with ideas and functions, creating a set of circumstances emancipated from the mechanical contingencies of traditional exhibitions venues, which she deconstructs. The heart of the proposal revolves around a formal vocabulary borrowed from the traditions of oriental architecture. 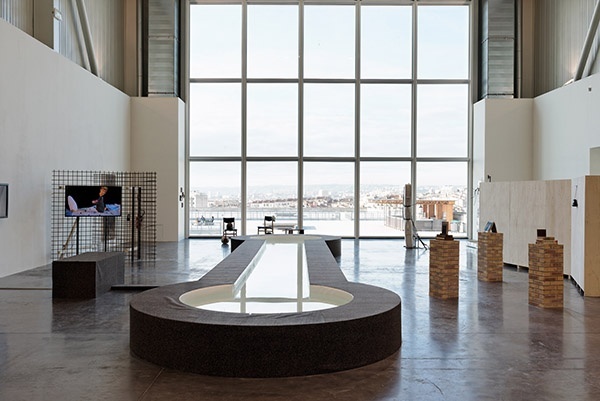 At the center of the space a monumental shallow pool, also working as a pedestal, evokes the architectural device of a riad (inner courtyard), whose space is traditionally conceived around the presence of a flat surface of water to maintain coolness. The walls created by Clémence Seilles recall the principles of the moucharabieh, an open grid creating a transparent or opaque surface depending on the position of the visitor. This natural ventilation system allows one to see without being seen, staying in the shade and resisting the sun. It controls air and light and was also traditionally conceived to keep women away from public sight. Over the years, political inequity, feminism and gender issues have been subjects regularly present in Triangle France’s program. Here, according to Clémence Seilles, the moucharabieh functions like “a heterogeneous catalyst significantly modifying compounds present in the space”. It becomes a figure of the plurality of positions presented in the project, and expresses a vision of power whose exercise is understood as an active spirit of openness, rather than as a restrictive force. 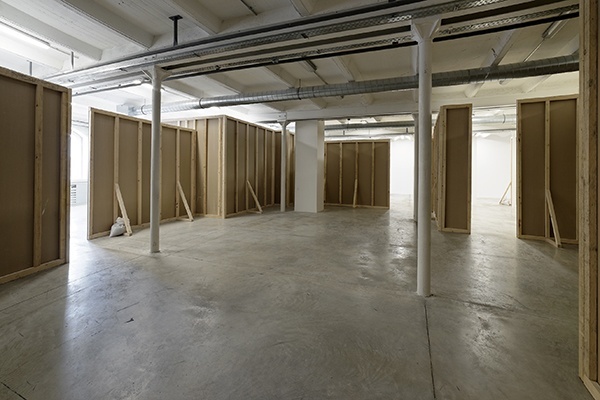 If Clémence Seilles’s work acts as a catalyst within this exhibition, the other artists would be the catalyst’s reagents. The equation suggests a state of transformation and experimentation leading towards an active production of alternatives and a refusal of a rigid state of being. 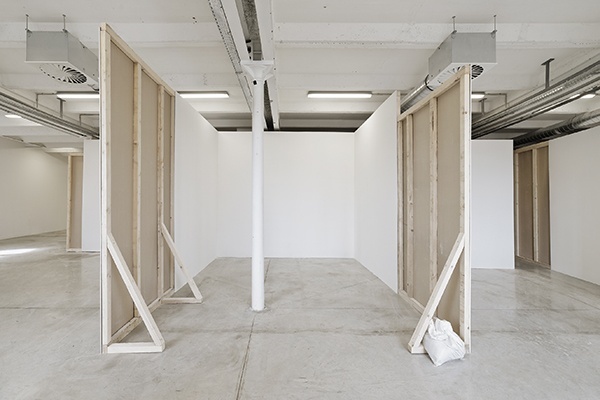 Eva Barto’s works are hidden within the exhibition and exert themselves through imposture. The banal objects that she borrows from the real world are fakes. The most attentive among us may notice the counterfeit keys, the forger’s workshop and the presence of avatars. Doubt and risk are in the house. The works of Thomas Teurlai amplify this tension through their reliance on the mechanisms of contraband. In creating the physical disorder here, he goes as far as modifying both the lighting and the atmosphere, which becomes heady and smoke-filled. The notion of chemistry or an unfathomable equation, are similarly central to the working process of Jean-Alain Corre. By-products and confusion are put to work in collages that rely on some sort of poetic logic to produce a fantasized world. We are at the very heart of the idea of production. The space and the conditions that make production possible regularly inform the work of Sabrina Soyer. 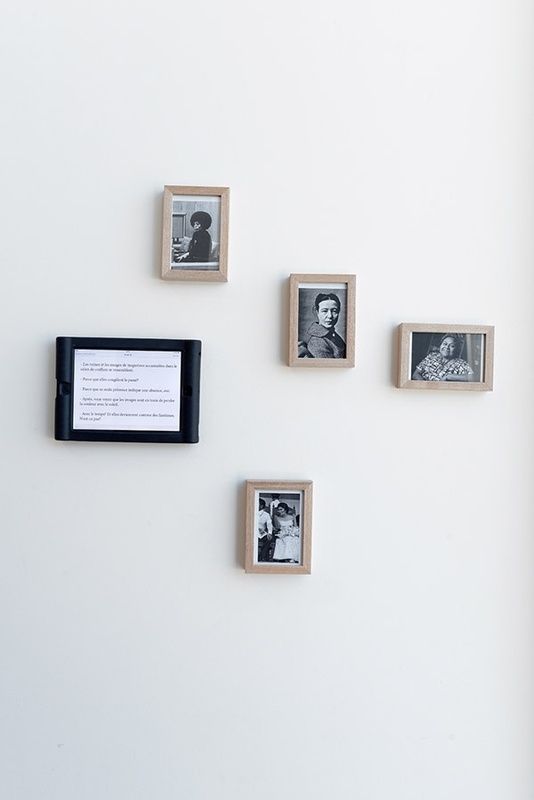 Her performances fuse together everyday life and its domestic spaces with artistic creation. Words and writing are vital here, and in the context of Moucharabieh she offers the discreet presence of a truly complex word: “philanthropy”. 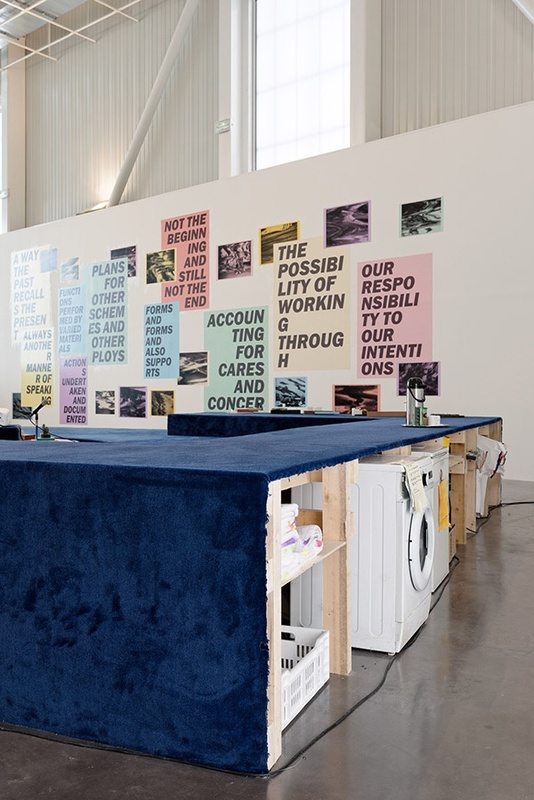 In a similar way, Hedwig Houben uses inner dialogue while raising the issue of convention. In her performances and videos, seriousness and humor combine to explore clichés that question her relationship with art, objects and the creative process: What makes a sculpture good or bad? How can we make art? she asks. For Rémi Illig, it’s more a question of indirectly examining how passive or active we may be within a system. 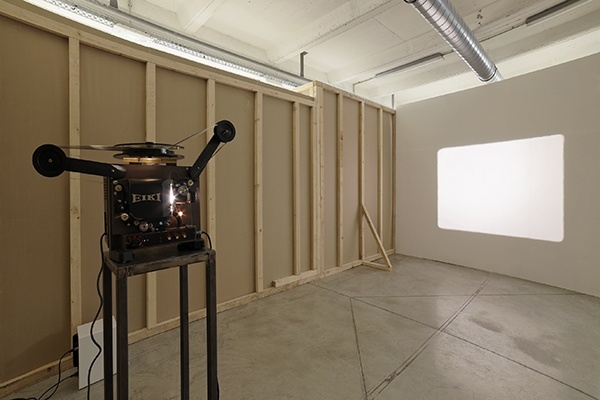 In the case of Lina Viste Grønli, the debate focuses more on the experience of language and its transmission. Words are ambiguous and language is malleable. Therefore we need to deconstruct it and update alternative strategies and definitions. The question of commitment and our relation to politics is directly raised by Gail Pickering, whose film Dissident Sunset (2007) makes direct reference to the history of radical activism. The issue of false appearances emerges again here with a link to social conventions and rituals. 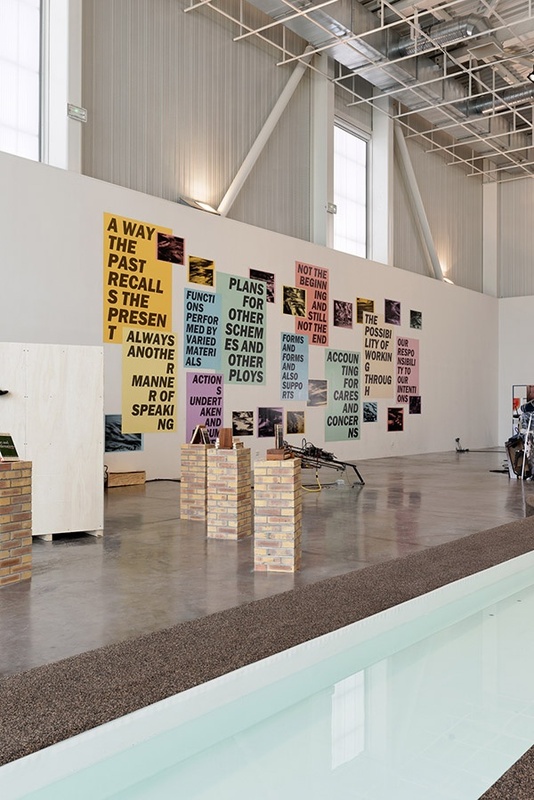 Raymond Boisjoly, an artist with Amerindian roots, has based his work on studies of colonial bureaucratic rhetoric, and raises the question of the status and relevance generated by administrative documents, and by actions that both anticipate and result from the work itself. 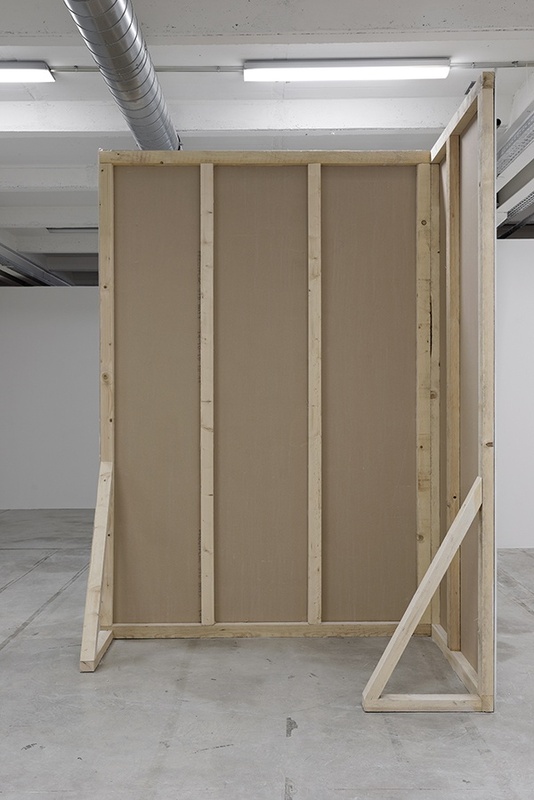 In this particular case, Boisjoly’s references focus on the use of the missive and the nature of language itself, aimed at creating a fictional representation of a particular group. This question of identity is also raised in the work of Lynette Yiadom-Boakye. Her pictures depict imaginary characters while allowing her to manipulate the conventions of western portraiture. Once again, we are deceived by what we think we are looking at, since in reality these works are not portraits. The persons represented, who are mostly black and busy carrying out mundane activities, do not exist in real life. They occupy a space that is both neutral and complex, abstract and distant, within the canvas, within the colors, shapes and brushstrokes. Here, there are no indications, aspects of clothing or social conventions that allow us to tie the subjects down to any social class, group or hierarchy. They emerge on the canvas within a single day, according to the constraints the artist imposes on herself. They exist in the immediacy, the urgency and the imperfection of what is human. They are black and represent what is normal. However, they exist in the art world where in fact they are not the norm, and they impose themselves on it through their simple presence, devoid of all justification.